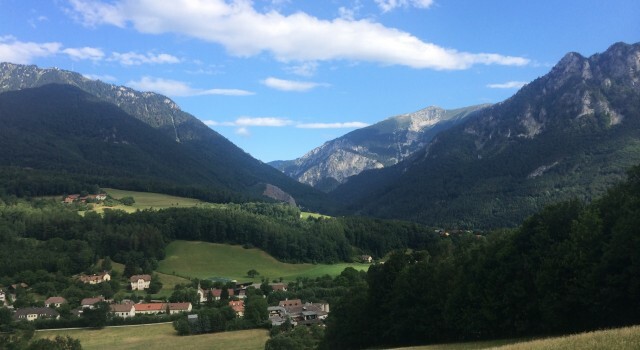 The entire region called Semmering has beautiful and scenic mountains, villages, and excellent roads. 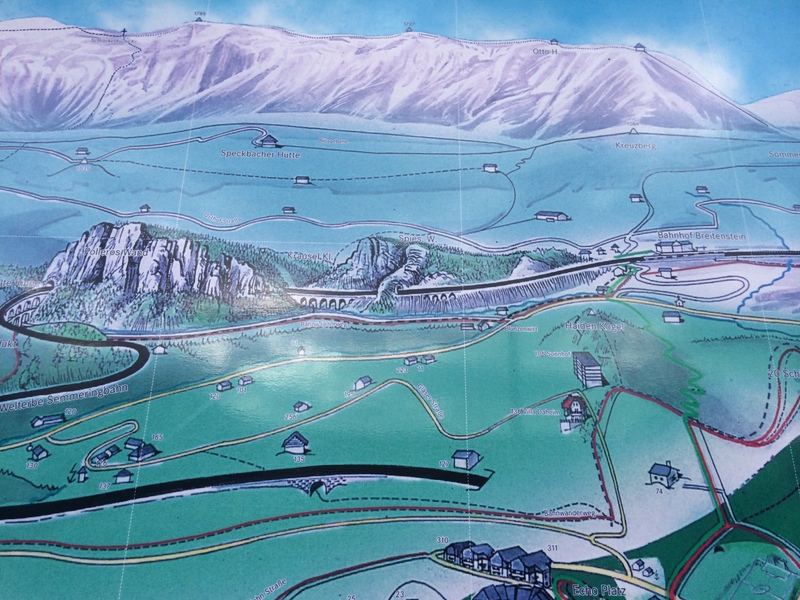 However what made this place very famous is the worlds very first mountain railway that is also considered a great civil engineering achievement. The railway is also recognized as a heritage site by UNESCO. 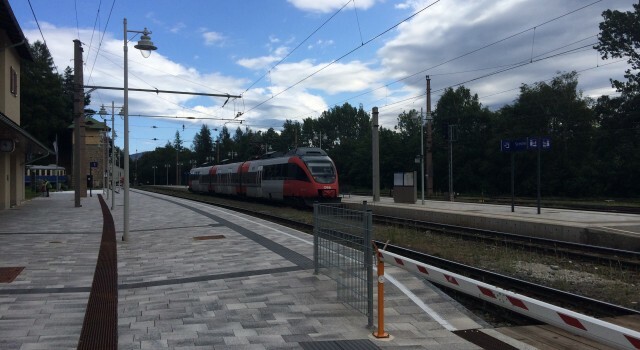 The railway is 41 km long, starting from the very first village called Gloggnitz and ends in Murzzuschlag. Between these 2 towns it also crosses 10 towns. Breitenstein (Population 330). Is a picturesque village that also has beautiful surroundings. Breitenstein is particularly known for its large rock faces that are nearby. It has also an important train station. 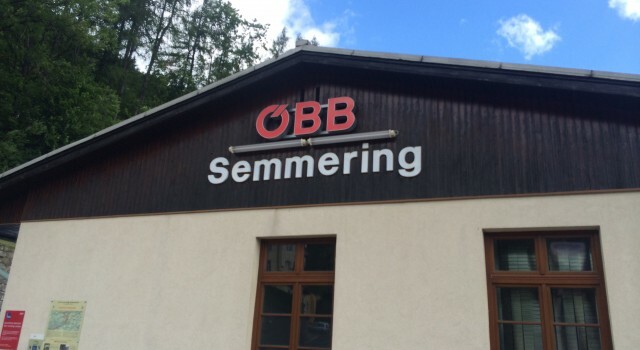 Semmering (Population 557). The village is a popular ski resort and is known for being the center of the Semmering Railway. 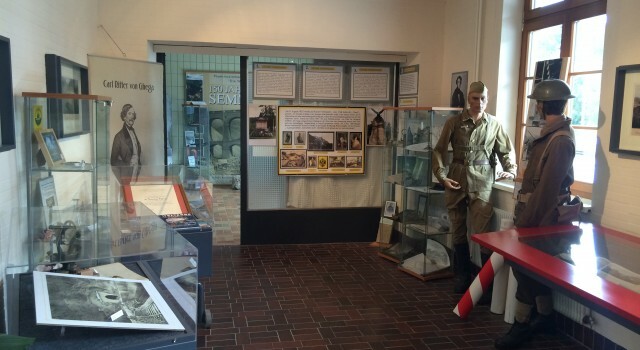 The train station itself is also a museum, showing the history of the railway. The entrance to the museum is free. Spital Am Semmering (Population 1,577). It is the home of the Stuhleck hill. The towns background can be traced back to 1160. Let me start about the history of the railway. It was constructed between 1848 and 1854 over these high mountains by designer Carl Von Ghega(1802-1860). Although the fame of this site begins in the early 19th century, its background in fact traces back to prehistoric times. 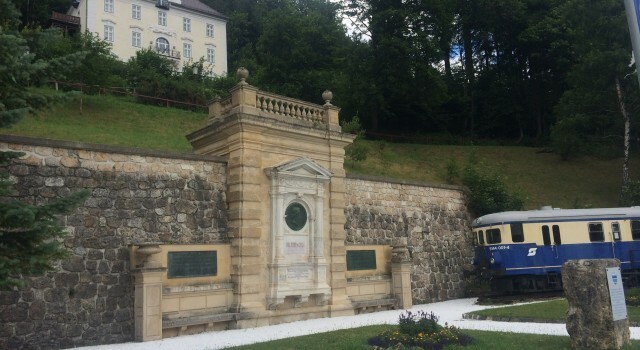 A monument regarding the Semmering Railway near the train station. It was one of the most important land routes from Venice during the 12th century, even if it was considered an unsafe alpine crossing in the middle ages. Still, it was not impossible, since the route was used by pack of animals and wagons drawn by oxen that were crossed through the entire region. 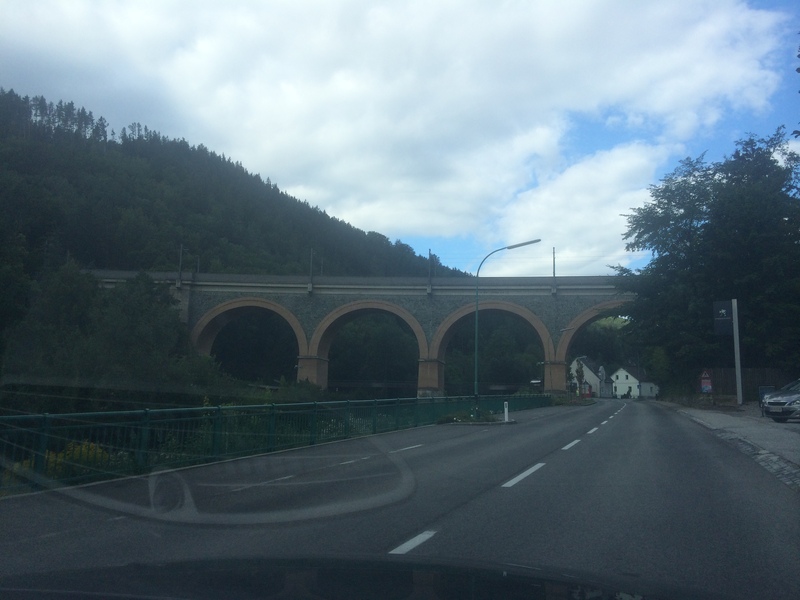 Despite, however, the importance of this road, it started losing its reputation in the 15th century, thus losing its trade but thanks to Emperor Karl VI, the Semmering started flourishing once again. The emperor ordered it to be improved both as a military and commercial road in 1728. The origin of the railway starts with the very first rail line of any significance in continental Europe that was opened between Linz and Budweis (Ceske Budejovice) in 1824 to 1832. Later on the railway between Gloggnitz – Vienna was established in 1841 and Murzzuschlag – Graz in 1844, thus leaving a large gap over the hard Semmering. The railway itself is very simple but very monumental with outstanding views. 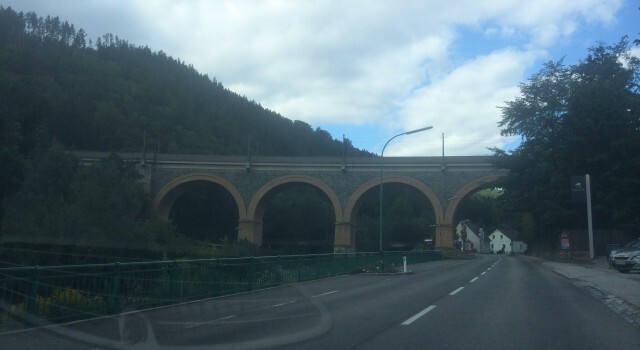 All the bridges and viaducts are built with large stones, but bricks also can be seen on the arches of portals of the tunnels, viaducts and bridges. Later on the locomotives changed into electric ones during the 50’s. I shall start to describe my day on the Semmering. I personally visited Vienna the day before, and I thought that It would be really nice if I would go down to site as well, since it is about one hour distance by car from the capital. 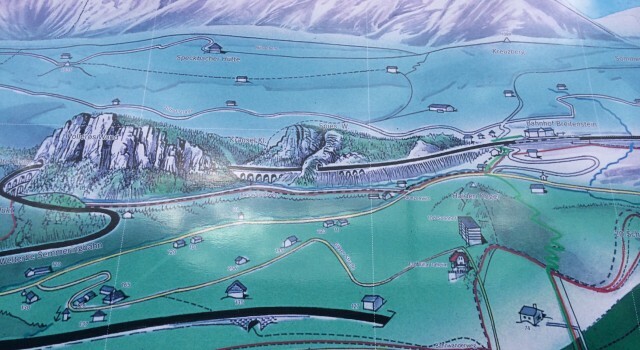 On our way to the Semmering, Austria is very accessible with developed infrastructure. The mountains can be seen. The very first destination of course was Gloggnitz, a charming little town known to be the starting point of the railway. Initially I wanted to pay a ticket to go from there to the last stop, but unfortunately my time was thin and we went on the road of 27 which is mostly near the railway. Following the railway on the road, there was a hard hilly yet super amazing road that had a marvelous view of the entire region. 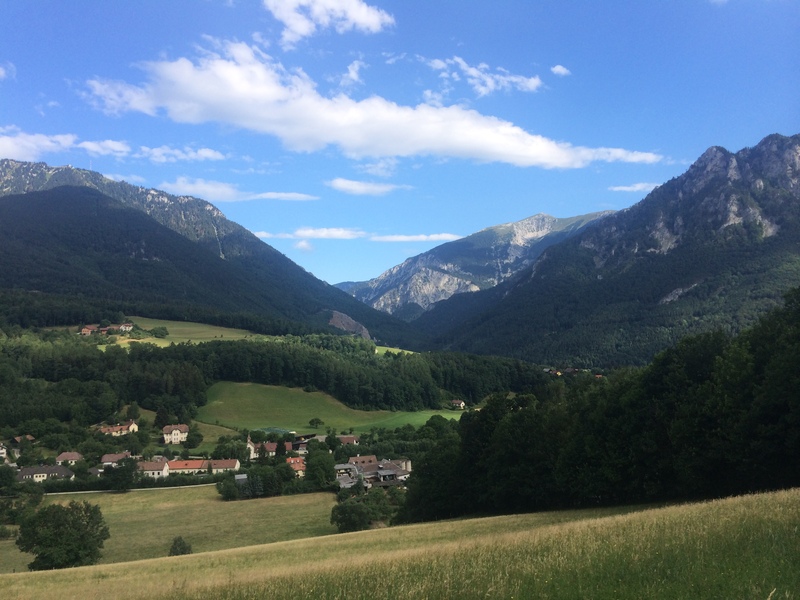 After enjoying the view where we stopped for few minutes, we continued crossing through mountain villages, forests until we reached Breitenstein and following Breitenstein another 10 minutes driving to Semmering. 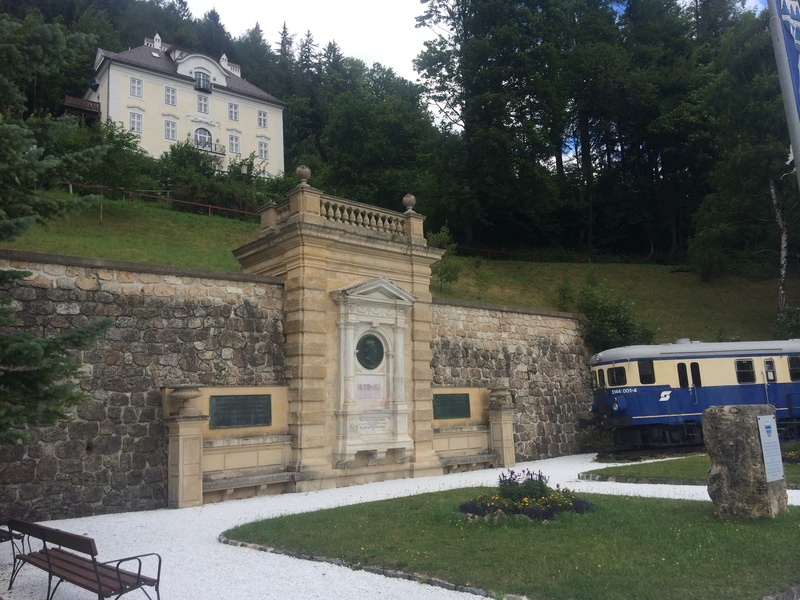 We stopped at Semmering to discover the entire area and also to see the history of the railway. 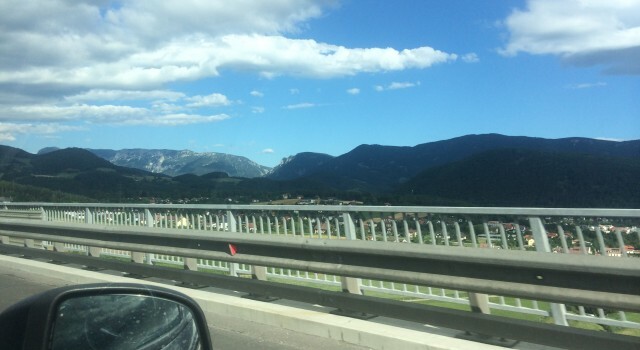 After we discovered Semmering, we head towards the final destination of the heritage site, Murzzuschlag. It is a big town that is part of the federal state of Styria, 93 km of Graz. 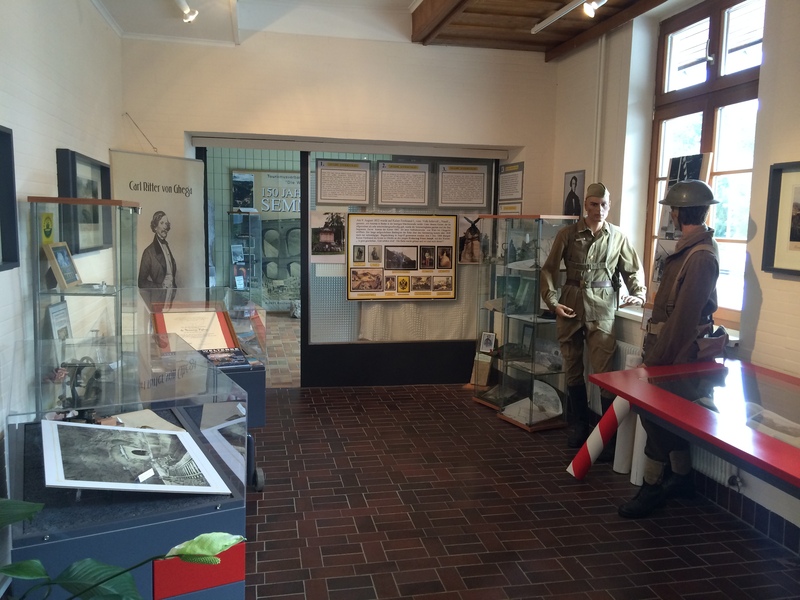 The train station of Murzzuschlag has also a museum but unlike the Semmering station, the entrance costs you for 6 euro per adult. 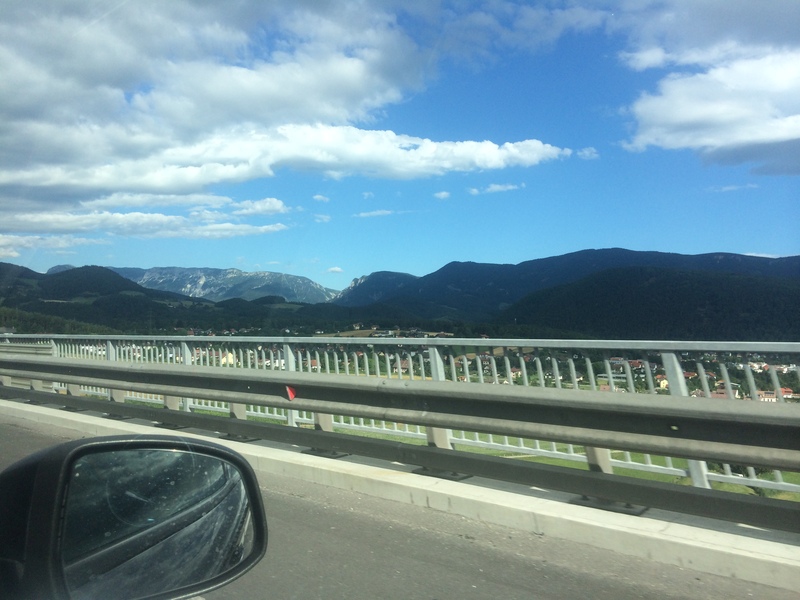 After a long day, we went back home by crossing again the opposite site of the Semmering railway, and ended up at a Gas Station which had a good restaurant with a quintessential Austrian cuisine with an impressive view of mountains and villag before heading home. Personally all I can say is that the trip was one of a kind, even if we had little time. One day before going there, we visited Vienna all day long which was tiring yet very intriguing and pleasant. It was worth a visit again, despite me being more than 10 times already. 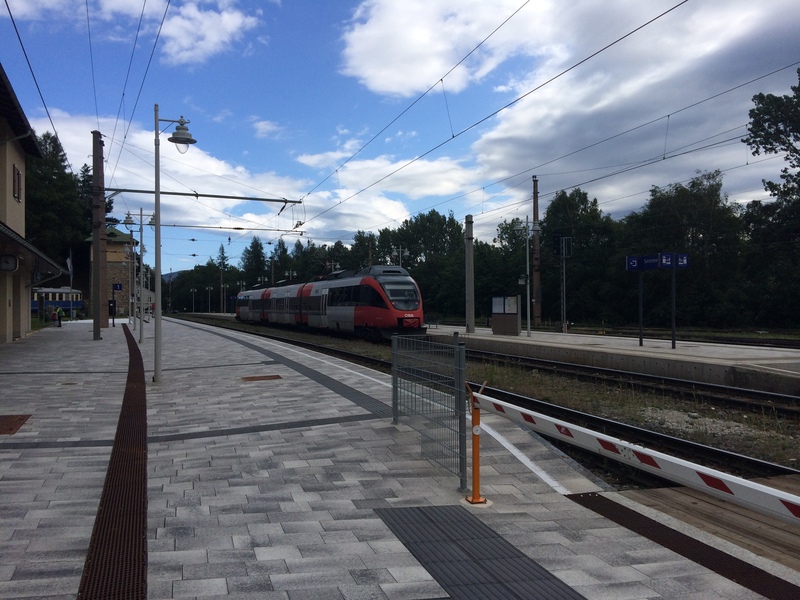 A part of the station in Semmering. As you can see it was quite cold. 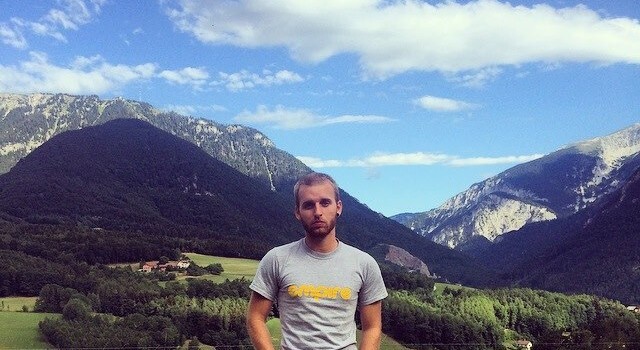 The Semmering was unexpectedly very fun, what I enjoyed was the difference between the climate. 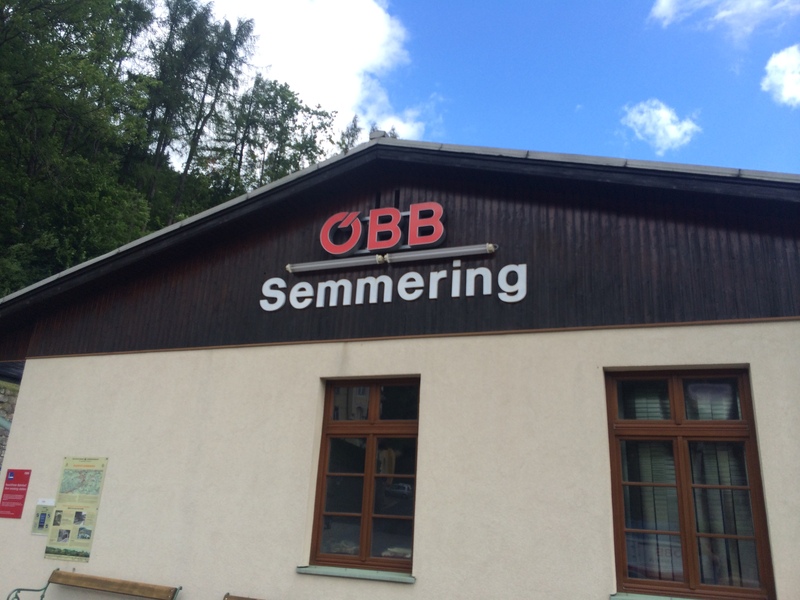 In the morning in Vienna when we woke up it was 26-27 Celsius degrees and in Semmering was 14 Celsius degrees. Nevertheless, it was very good since we struggled for a while with the big heat that occured lately in most parts of Europe, although It would have been good if we had a coat or something warm while we were there. I highly recommend if you want to taste a typical Austrian view combined with influential history.